Dr. Matthias Meier's work is dedicated to creating chip technologies for cultivation and analysis of human stem cells. 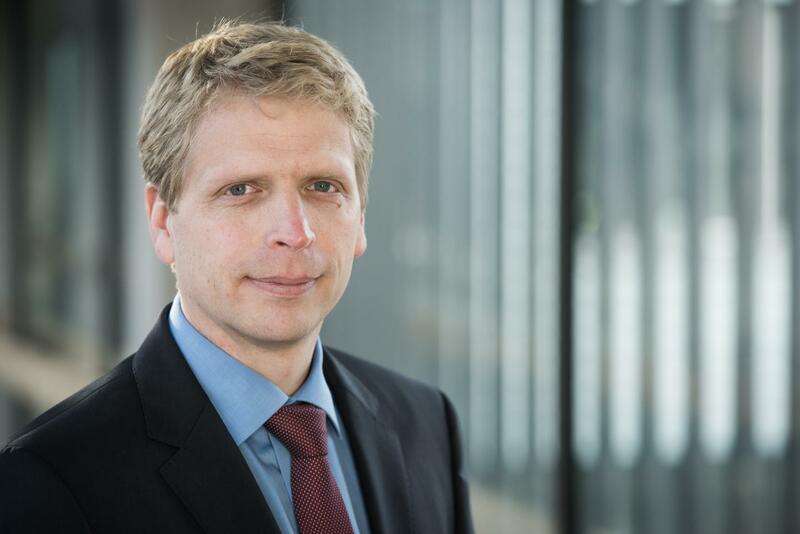 The biophysicist from the University of Freiburg's Department of Microsystems Engineering (IMTEK) is receiving a two million euro European Research Council (ERC) Consolidator Grant for his research on inducible pluripotent stem cells. Meier is developing microfluidic platforms that work with tiny amounts of fluids. Hundreds of cell cultures have room to grow on chips that are no larger than the tip of a thumb. Wafer-thin fluid channels coat the entire platform and provide the cells on it with nutrients. Researchers in Meier's group aim to use the chips to discover which of the body's own signals cause the stem cells to develop into different types of fat cells. Fatty tissue provides humans with their main energy reserve. The body of an adult human of average weight contains between 20 billion and 27 billion fat cells. Adult stem cells within the tissue divide to ensure they are continually replenished. They or their descendants will become fat cells as well. If a person takes in more energy than he consumes and stores it, in the long term, this will lead to obesity and metabolic disorders like type two diabetes. But all fat is not the same. The body has great functional heterogeneity when it comes to storing and mobilizing its energy reserves. During past decades, researchers have discovered that fatty deposits vary greatly from one another in terms of their structure and cell composition. As a result, today it is known that the metabolic differences in deposits of adipose tissue are related to differing colors of distinct types of fat cells, which are all known as adipocytes. White fat cells store energy, while beige and brown adipocytes are capable of breaking down white fat by producing heat. One strategy for restoring energy balance and to mitigate obesity and type two diabetes is to reprogram white adipocytes into beige fatty tissue. Up to now, the main obstacle to implementing this strategy is the absence of test systems that have successfully replicated human adipose tissue outside of the body. This is what Meier's research is addressing – with three-dimensional models of adipose tissue on new microfluidic platforms. "We want to replicate and simulate the different mechanisms – the chemical and structural characteristics of human fat – with the technology that is being developed," explains the biophysicist. This will mainly be achieved by combining modern 3D printing processes and microfluidic technology. The researchers will use these technologies in tandem to find out how stem cells differentiate into mature adipocytes and how that process could be controlled to form beige and brown fat cells. "The long term goal is a cell therapy to combat obesity and type two diabetes that is tailored specifically to individual patients." Since 2012, Matthias Meier has been leading the research group "Microfluidic and Biological Engineering," at IMTEK and is an associate member of the Freiburg Cluster of Excellence BIOSS Centre for Biological Signalling Studies. The German Research Foundation is funding the group's work under the auspices of the Emmy Noether-Program. Meier will move to the Helmholtz Pioneer Campus in 2018.